Powered By Numbers provides training solutions for athletes in a variety of endurance sports including Road Cycling, Mountain biking, and Triathlon. Our dynamic solution has delivered astounding results for athletes from beginners to pros. Whether your goals are to compete on the world stage, or to prepare for a local race, we have the experience and expertise to help you achieve your goals. See http://www.pwrdbynumbers.com for more info! Luke Sagur has been coaching Elite athletes for over 5 years and has been involved in endurance sports for over 20 years. His backgrounds includes competing on a national and Pro level in a variety of endurance sports including mountain biking cycling, triathlons, swimming, and motocross. He's had great success coaching athletes in a variety of disciplines including Road Cycling, Mountain Biking, Cyclocross, Duathlon and Triathlon. His expertise has proven to be successful with athletes of various levels, from full time pro athletes, to busy masters athletes. His background education includes studying Exercise Science and Kinesiology, a Mechanical Engineering degree along with a Masters in Math Finance and an MBA. 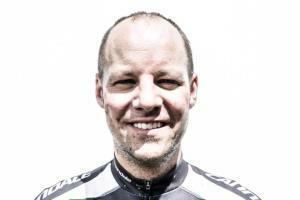 Luke is also a level 2 and Power certified USA Cycling coach. Success. Coach Luke Sagur has been notified of your message.